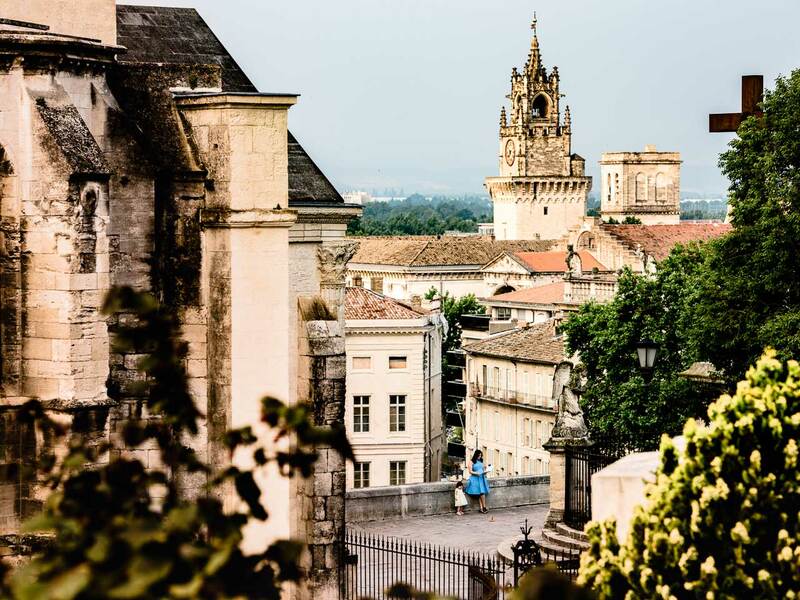 Avignon is the perfect little French town to spend two weeks in. 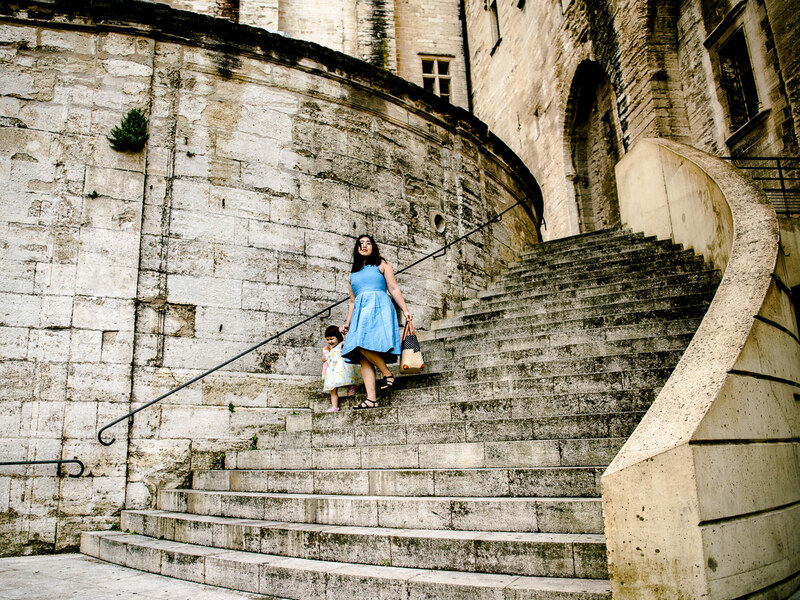 We soaked in the the old town during our stay at Studio Avignon with Airbnb . The charming artist studio is right in the city center which makes it easy to get to most of the sights and eateries. 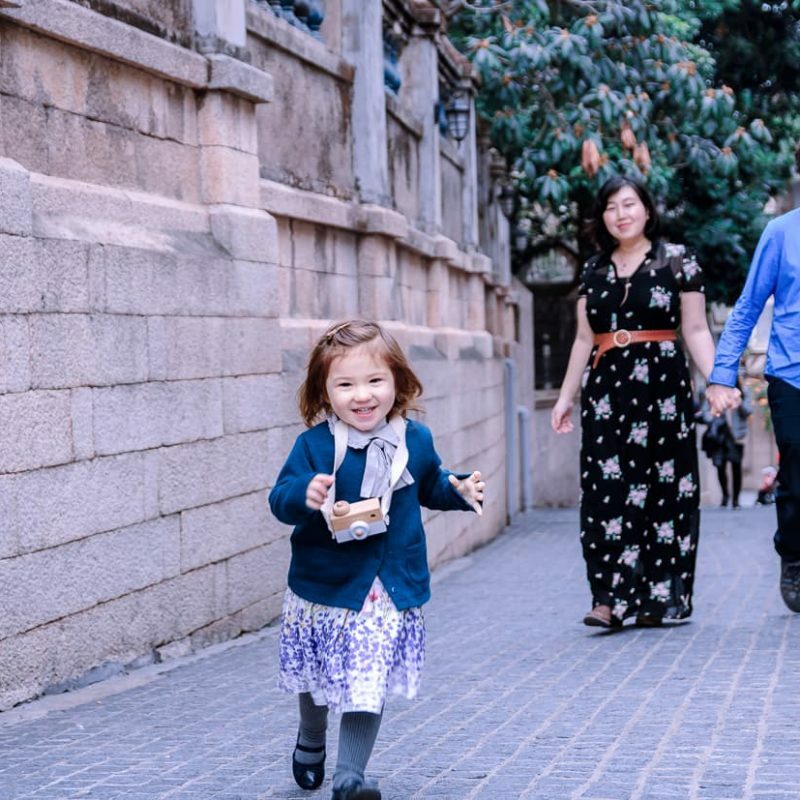 However the stairway going up to the studio is a work out in itself, if you have ever visited medieval castles and climbed one of those narrow stone tower spiral staircases … then imagine us with baby and stroller in tow, doing that for two weeks. 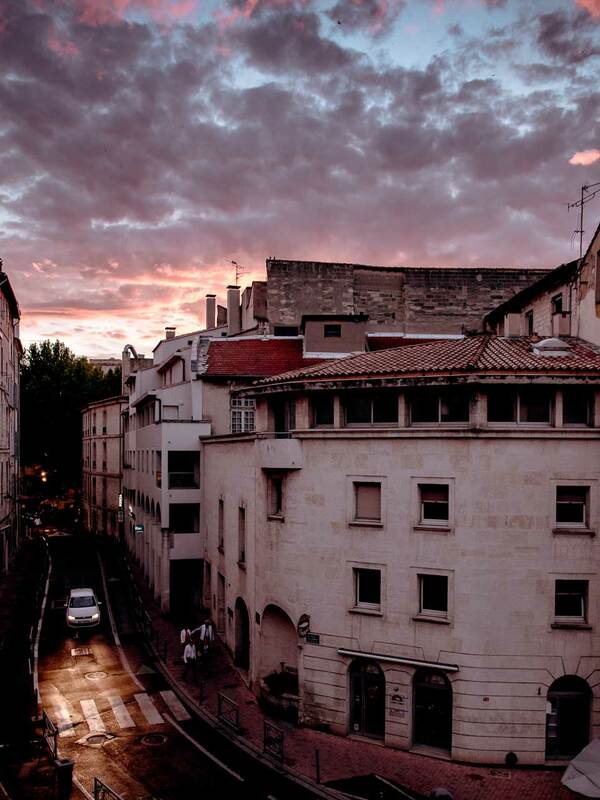 But that’s ok, because there is something about Avignon that makes people here just brim with smiles. 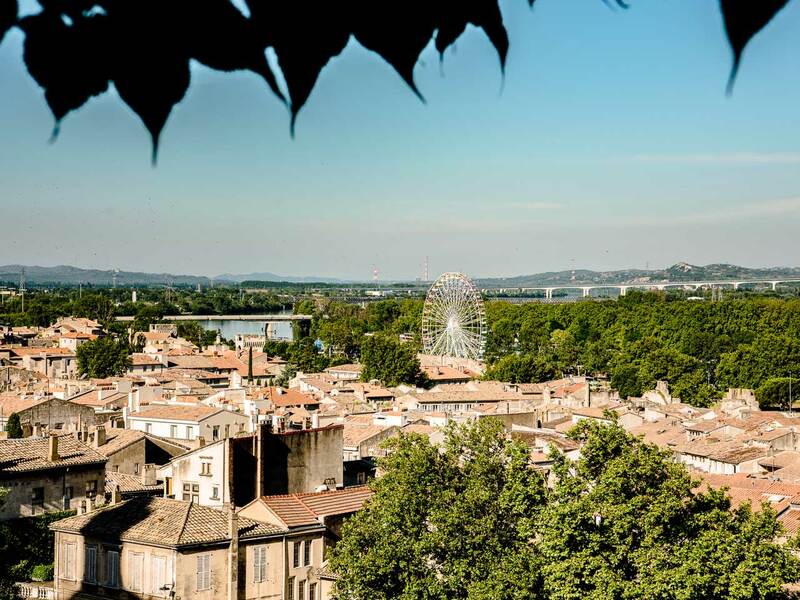 We love that Springtime Avignon is never too busy or too noisy. Everything is just at a perfect pace, whenever I see French women riding their bikes past down the cobble stone streets with baguettes and a bouquet of flowers in their basket, it really makes me happy. 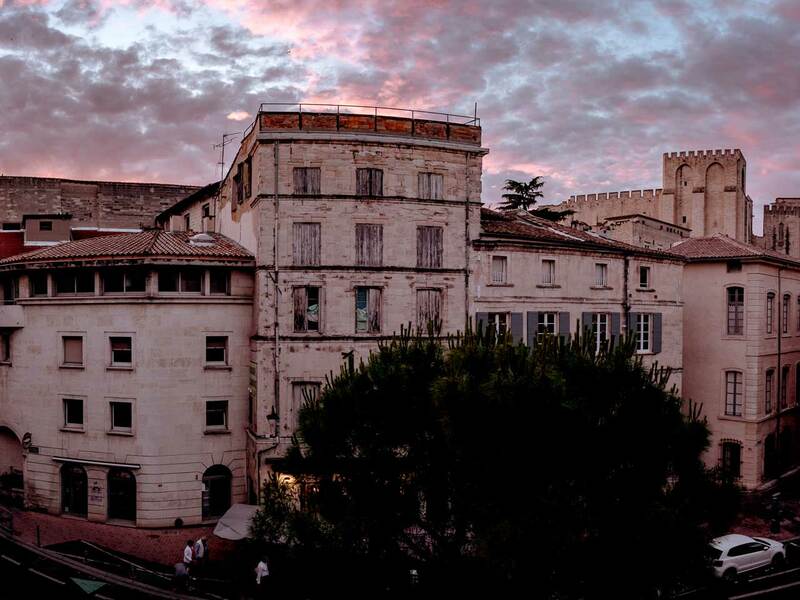 The sunsets were beautiful, but it was the morning time that made me wish I could call Avignon home. 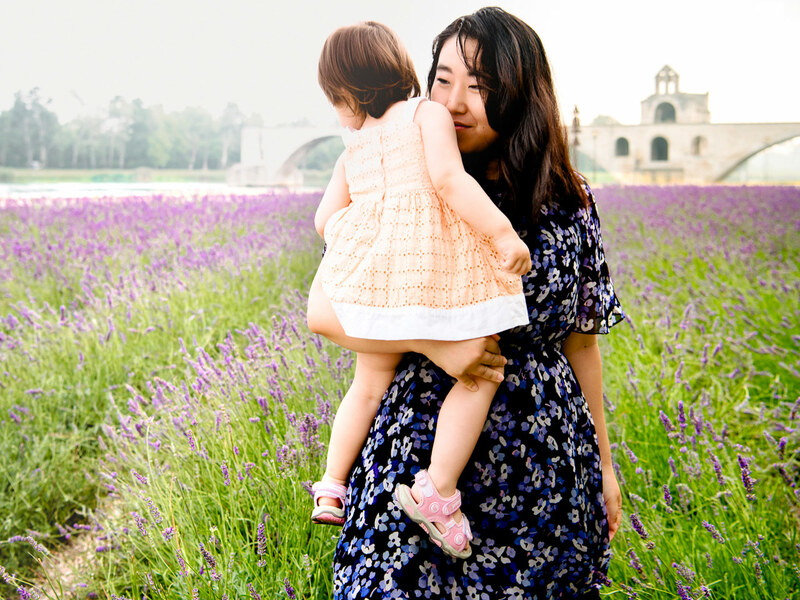 In a setting like this lavender field, the details in the sky aren’t important for your photos. If you’d like to know how to “expose for the shadows” or just generally make your priorities show through in photos, have a look at our new e-book, Easy Manual Mode Photography. It costs less than lavender ice cream for the family, and it will last you a lot longer, too. 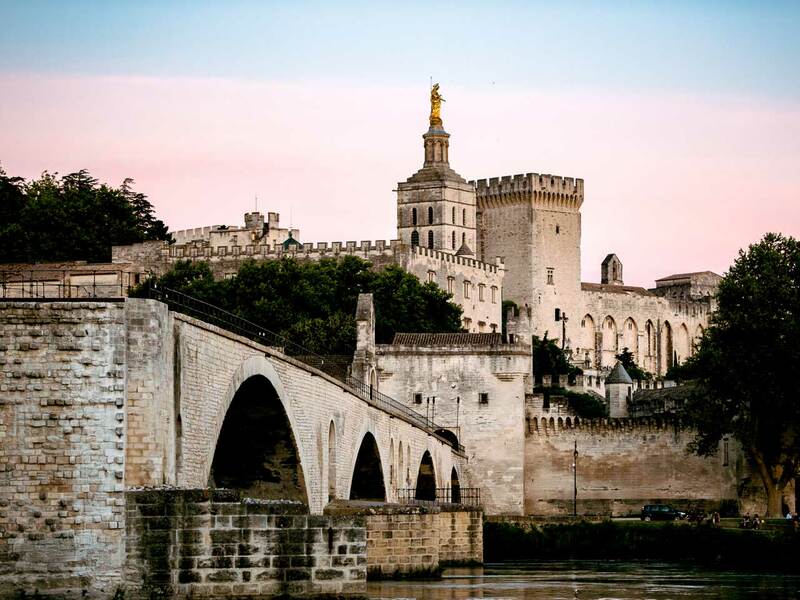 Obviously visit the famous Pont d’Avignon. It’s the unfinished bridge that you will see jutting out into the river. The two best views of the bridge are from the lavender garden near the bus station to the southeast (Google Maps), and from the Chemin des Berges across the river (walk across the Pont Deladier to get to it). Also, obviously see the Palais Des Papes (Palace of the Popes). It’s obvious because you can’t help but see it. It take up half the town! 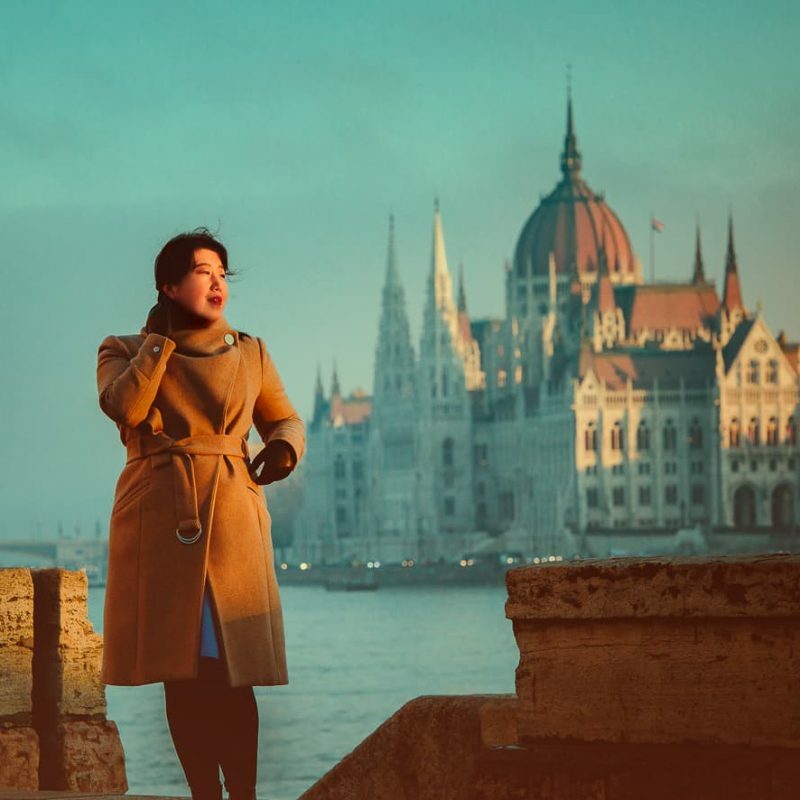 Though it’s a formidable piece of architecture, our favorite part was the Rocher des Doms park right behind the palace. 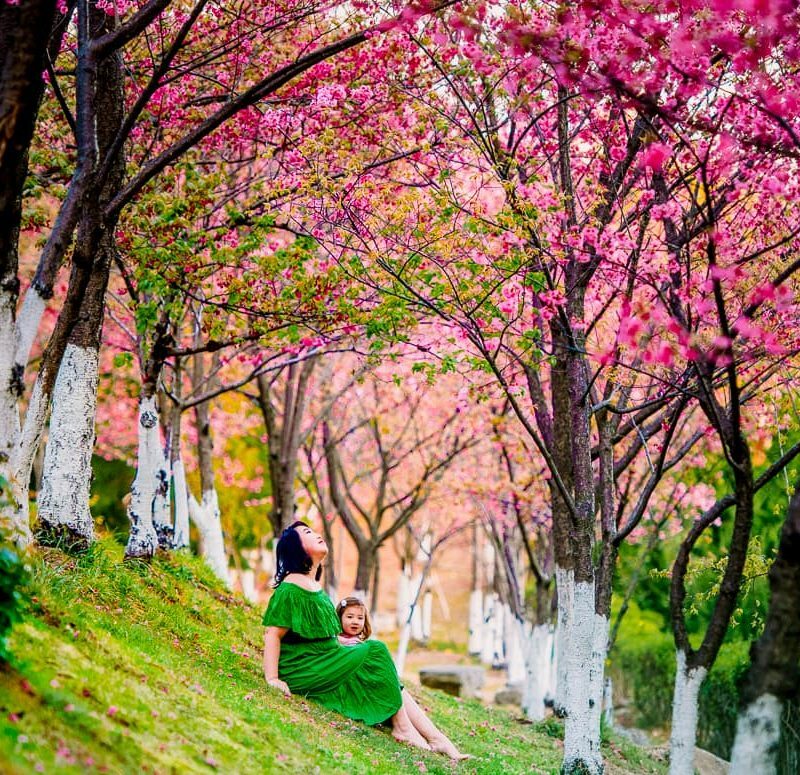 The park is on the slope of a steep hill, but if you climb to the top you are rewarded with beautiful paths, outdoor cafe, children’s playgrounds and a duck pond. Not to mention incredible panoramic views of the surrounding countryside and Fort Saint-Andre. Take a day trip to Fort Saint-Andre. Go shopping on the beautiful pedestrian streets that wind through the old town. Ok, every once in a while a delivery vehicle passes through, but polished stone walkways make you feel right at home on foot, and are a nice break from the cobblestones that line much of the rest of the city. 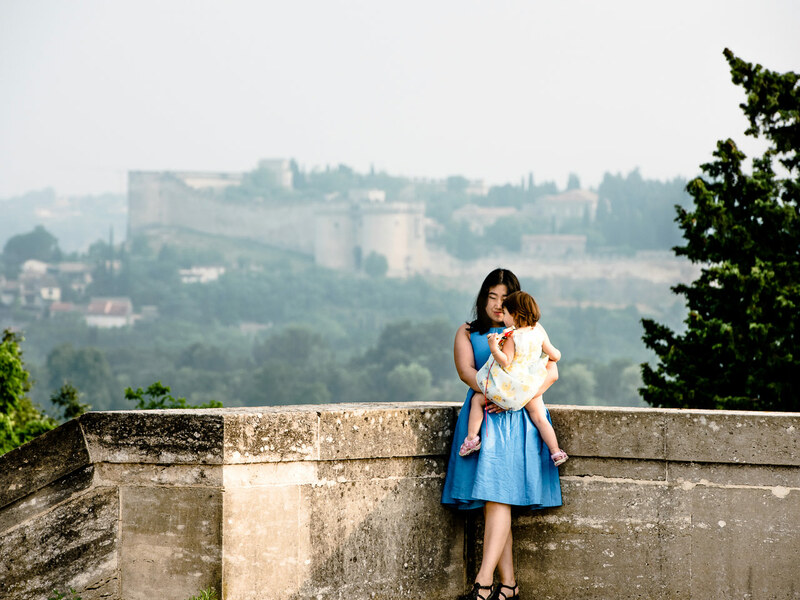 Pack a picnic and visit Pont du Gard. 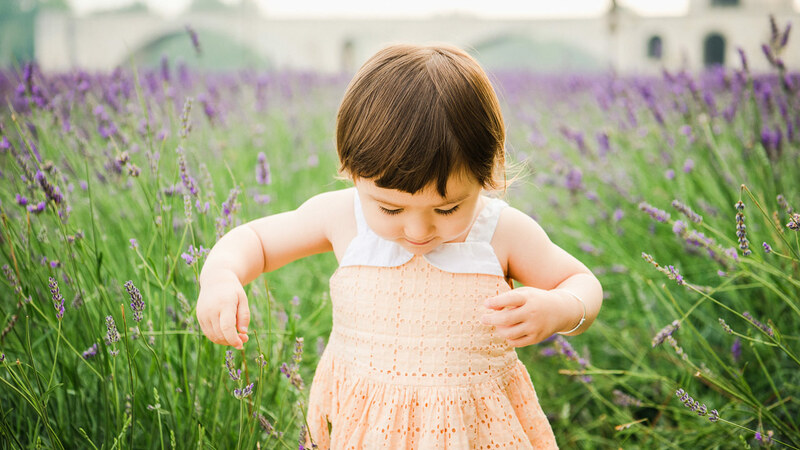 Go hunting for lavender at Senanque Abbey, Sault, or (if you have time for a longer drive) Valensole! 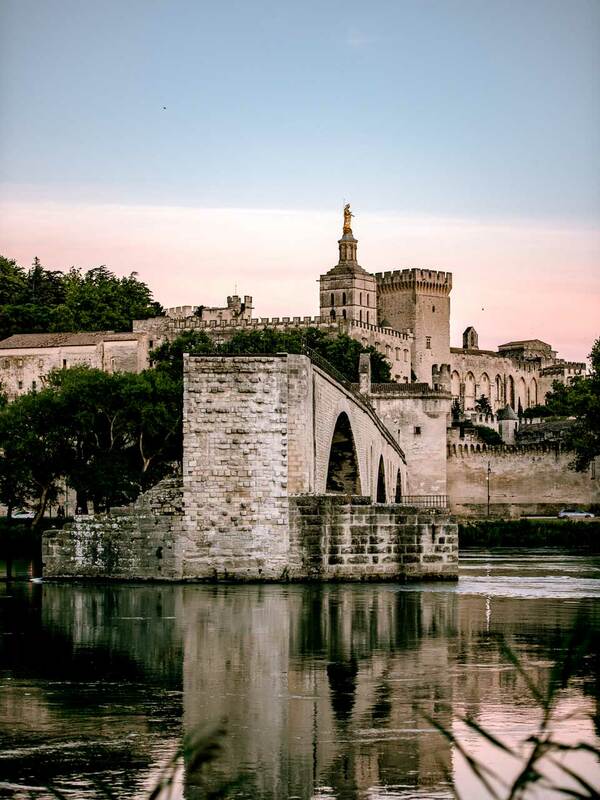 If you just want an easy picture, you can always get some near Pont d’Avignon right in town. There weren’t exactly vegetarian restaurants on every corner in Avignon, but Jake and I thought we ate pretty well anyway. One of the perks of slow travel is having time to explore, and a kitchen to cook with local ingredients. Our favorite thing to do was walk down to Marche les Halles d’Avignon (Google Maps) to buy some fresh produce. It’s also a good place to pick up prepared food to eat in the park outside. We bought a big jar of lavender honey there which we thought we’d carry with us on our journey, but we finished it before we even left town! After your visit to the Palais des Papes, don’t forget to try some lavender ice-cream in the shop outside. Jake said it tasted like biting into a bar of scented soap, but I didn’t see him stop eating it. 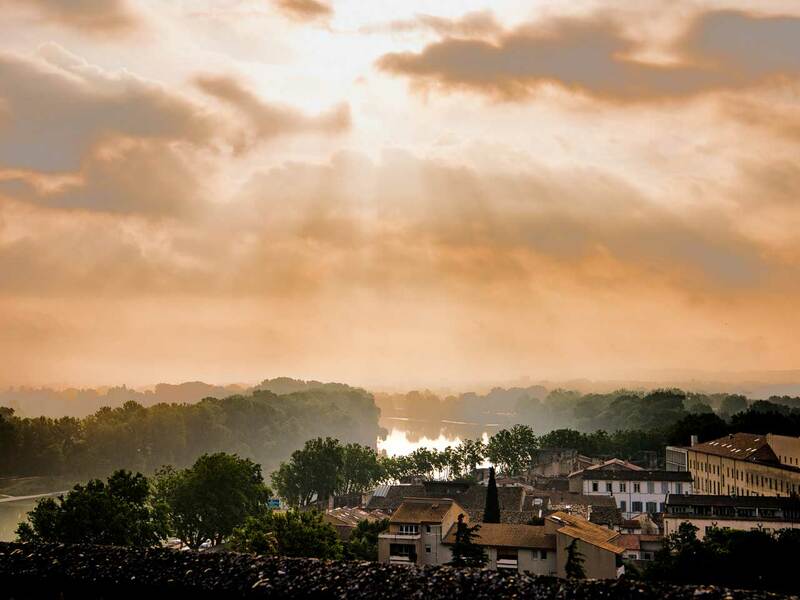 If you have any questions about Avignon, or where and how any of our photos were taken, please go ahead and ask in the comment section. 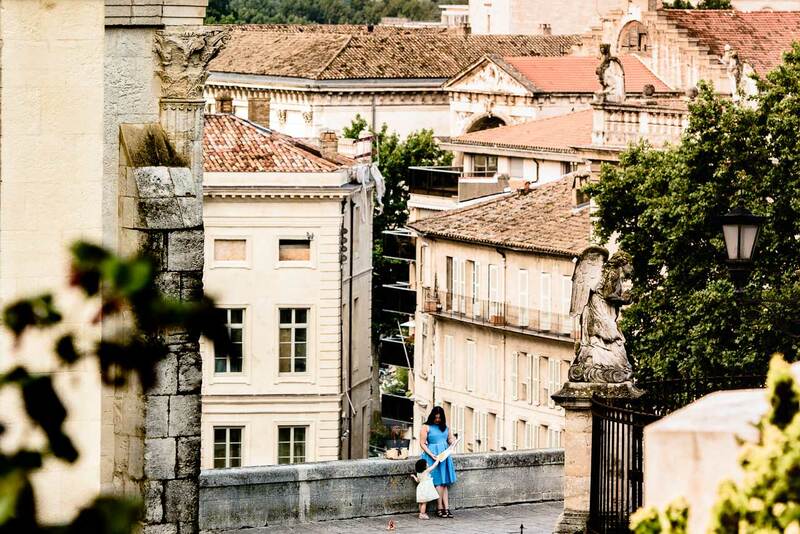 You can also read the other things we’ve written about Avignon and Provence, or have a look at the other destinations we’ve visited. And don’t forget to show you’re support for our family and our website by simply visiting our shop before your next big adventure.